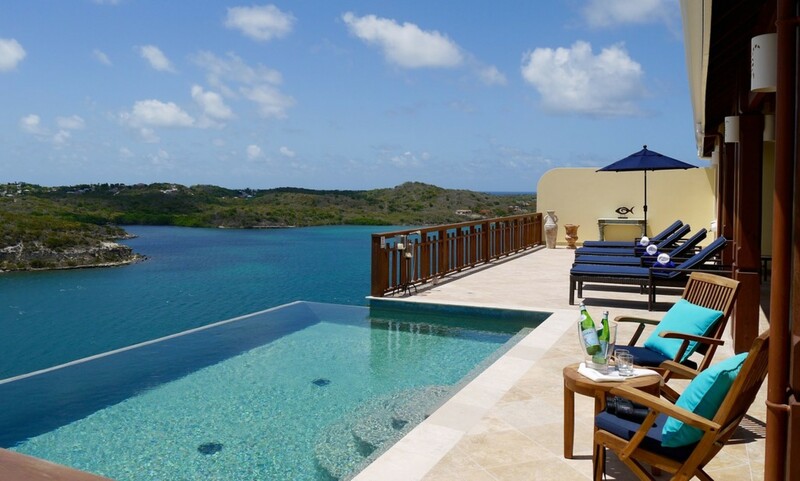 Welcome to Nonsuch Bay Resort in Antigua. 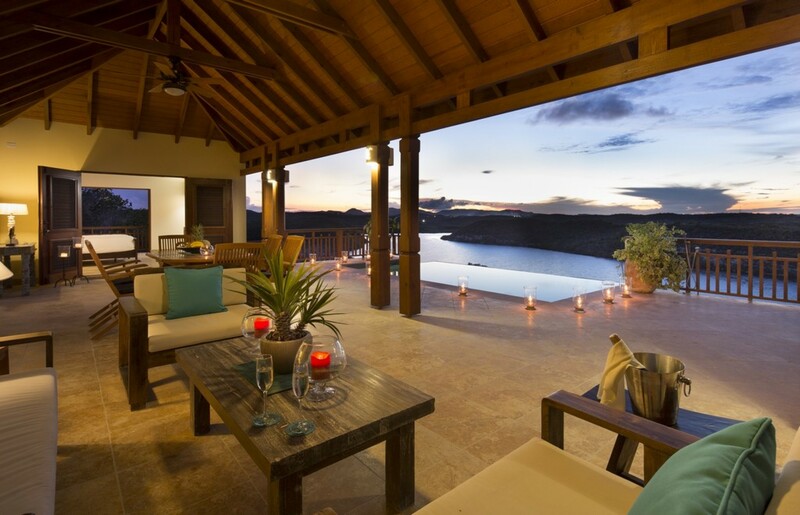 Dramatically positioned along Antigua’s tropical rolling hillside, you will find the luxurious 3-bedroom Villa Nonsuch Heights. Based specifically in St Phillips, this lavish property sits 150ft above the azure waters of the Ayres Creek. 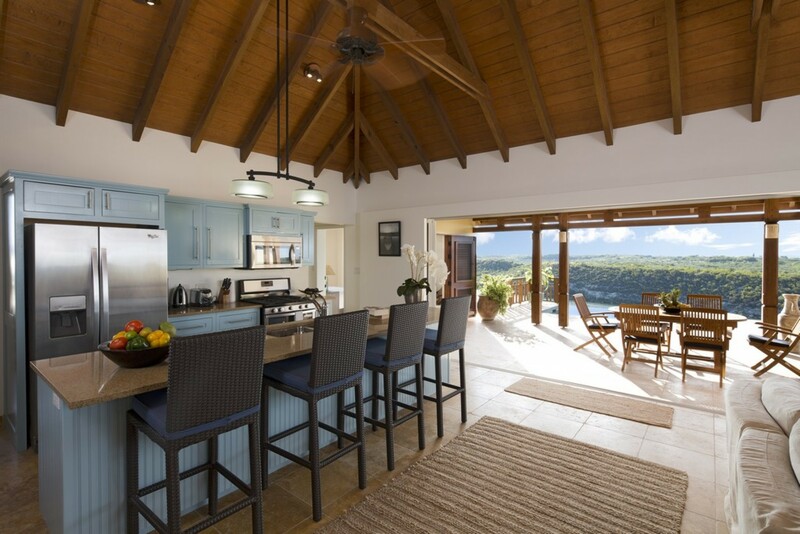 The villa accommodates six guests comfortably in the spacious interiors and exteriors that overlook the bay. 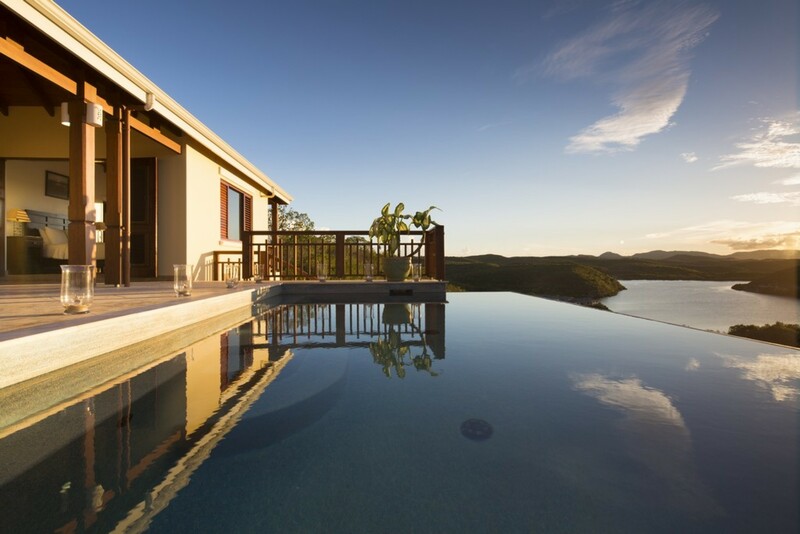 With private beach access, a private infinity edge pool and catered by friendly staff, Nonsuch Heights provides an authentic Caribbean vacation experience. 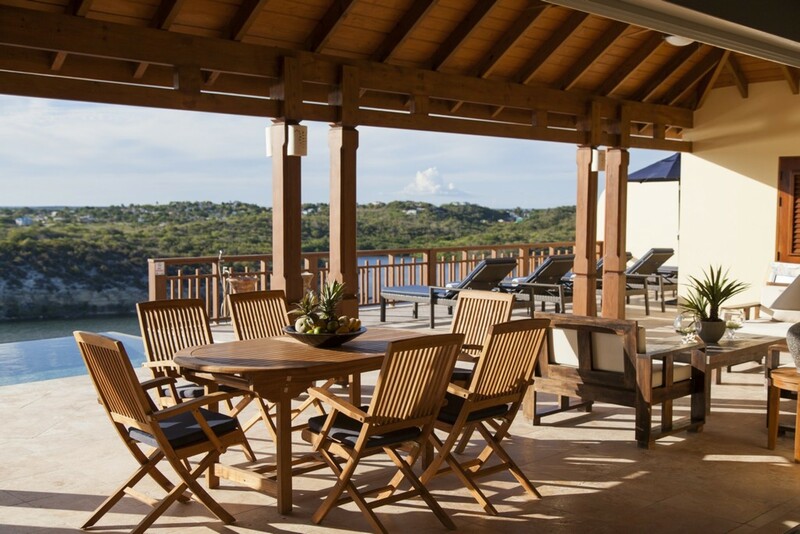 Nonsuch Bay is a sought-after Caribbean resort, perched overlooking the Sea. Designed to reflect the traditional West Indian Georgian Colonial style, the resort and its properties are also laced in a modern, and minimalistic Caribbean living style. This captivating waterfront location offers panoramic ocean views and a naturally beautiful setting, graced with gentle trade winds. 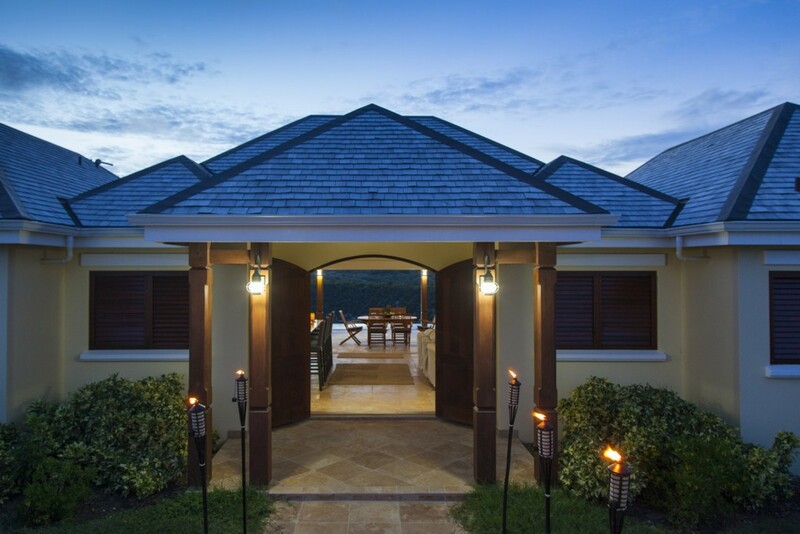 Welcome to Nonsuch Bay Resort in Antigua. 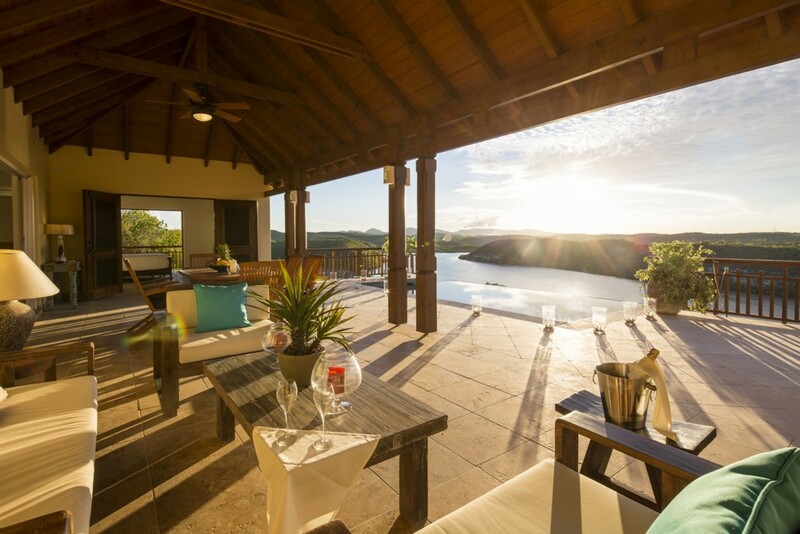 Dramatically positioned along Antigua’s tropical rolling hillside, you will find the luxurious 3-bedroom Villa Nonsuch Heights. Based in St Phillips, this lavish property sits 150ft above the azure waters of the Ayres Creek. 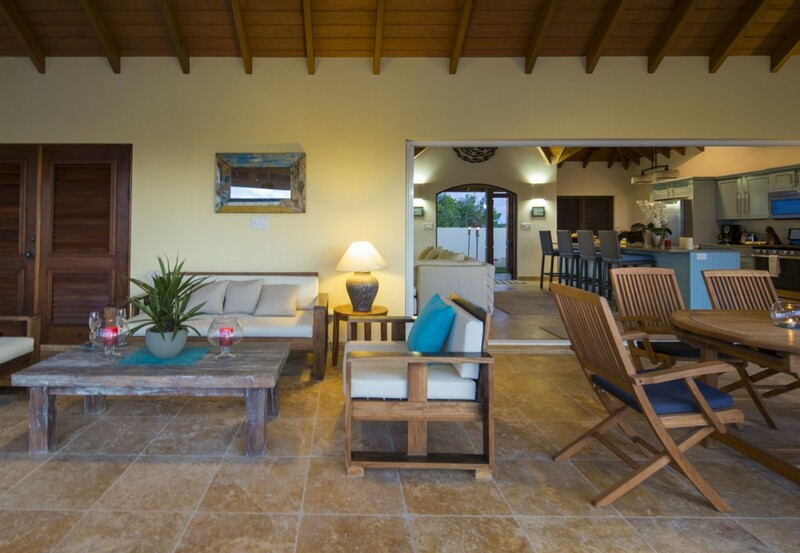 The villa accommodates six guests comfortably in the spacious interiors and exteriors that overlook the bay. 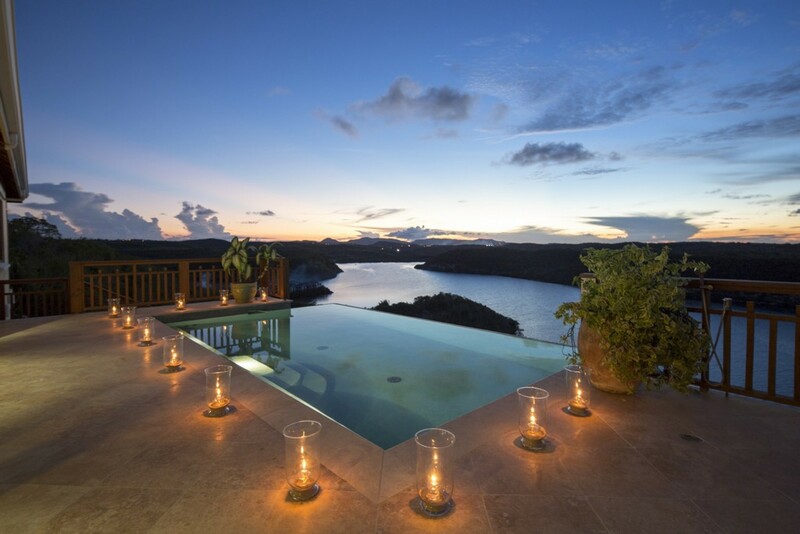 With private beach access, a private infinity edge pool and catered by friendly staff, Nonsuch Heights provides an authentic Caribbean vacation experience. 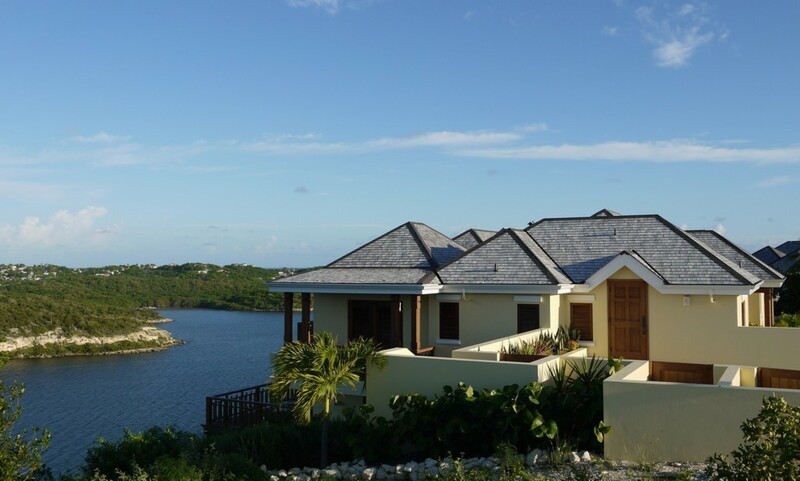 Villa Nonsuch Heights is part of Nonsuch Bay resort and enjoys access to the resort’s abundance of amenities. Indulge in the watersport’s activities such as kayaking or paddle boarding. Make your way to the beach, a short ten-minute walk or minutes’ drive in the resorts complimentary shuttle from the villa. Here you can explore the crystalized turquoise waters or simply relax on the sugar-fine sandy beach. As you walk along the shoreline, let the water lap onto your toes, as you set yourself into holiday mode. 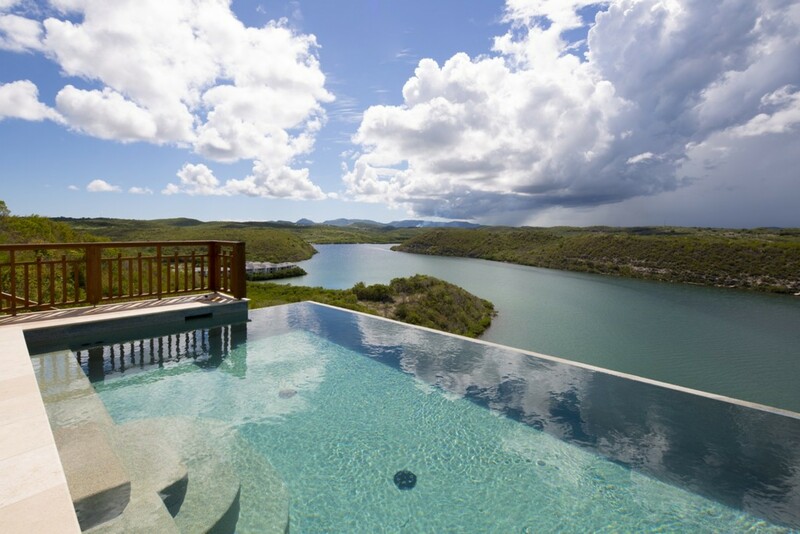 The resort includes other amenities such as a sailing and kitesurfing school, restaurant and bar, three infinity edge swimming pools, boat dock and clubhouse lounge. 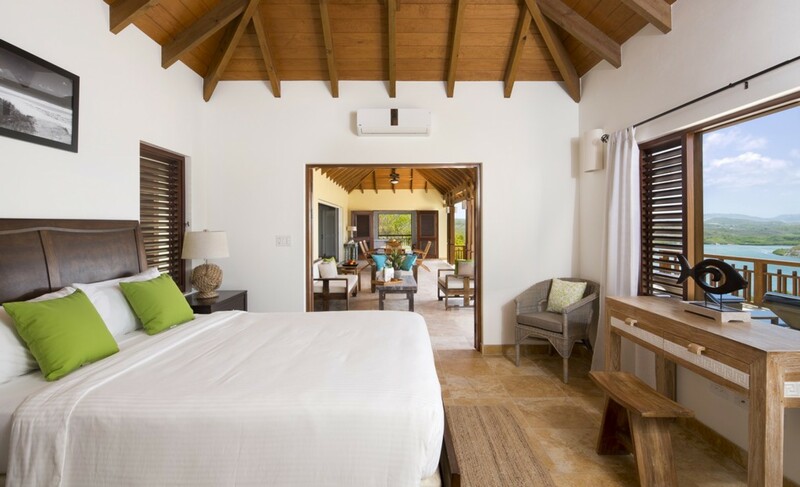 Returning to the seclusion of your private villa, Nonsuch Heights is laced in its own private amenities, so you will never need nor want to venture far. Walking out onto the terrace you will instantly gaze out over the stunning 180° views of Ayers Creek and the rolling tropical landscape. Lush with vivacious greenery, the haze of greens harmonizes with the endless blue. of the interior. Lounge out on the terrace as you sip on a freshly brewed coffee or slip into the refreshing waters of the private 20 x 12 ft infinity edge pool. As the sounds of the water lull you into relaxation you can dry off on the comfortable sunbeds as the early morning sun glows above you. Dine alfresco under the covered patio, surrounded by your loved ones. You can enjoy a continental breakfast in the morning overlooking the creek and indulge in the Caribbean cuisine in the resort’s restaurant in the evening. Making your way into the villa you will be graced by the light and airy intentions. 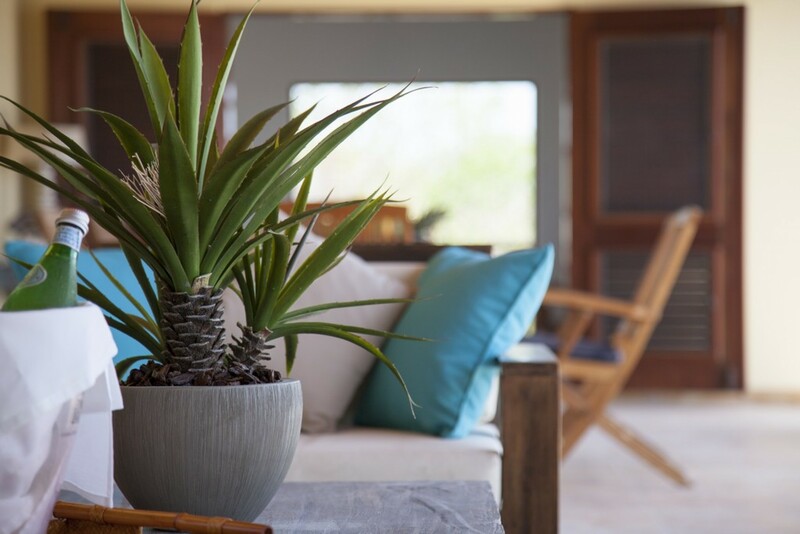 The interiors blend seamlessly onto the terrace and so indulges in an open plan living room. 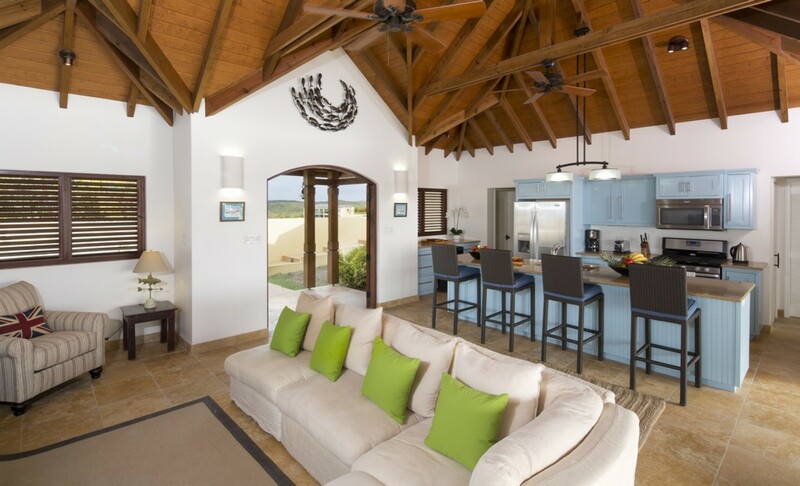 The rooms high-vaulted ceilings keep the room cool while allowing the trade winds to float through gracefully. The room is designed using smooth, porcelain tile floors, white walls and contemporary furnishings. The living area is comprised of the dining living and kitchen areas. The kitchen is designed in soft blue cabinetry and fully equipped, fitted with modern Viking appliances and Kohler hardware. The large breakfast island seats four guests. The dining area seats another six guests and overlooks the bay on the covered patio. Fitted with plush sofas, the living area sits opposite a high-resolution television and is laced in vibrant green cushions. 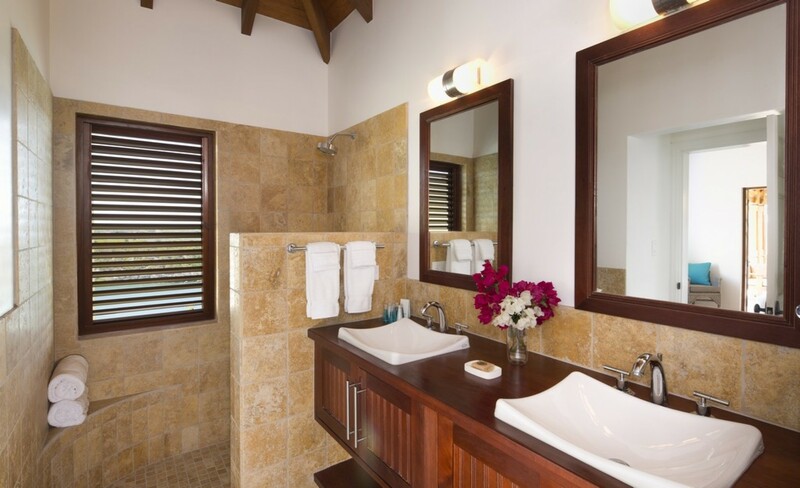 The villa has three elegantly appointed bedrooms, each boasting a private en-suite bathroom. The bedrooms also include French windows and doors opening onto the wide veranda. 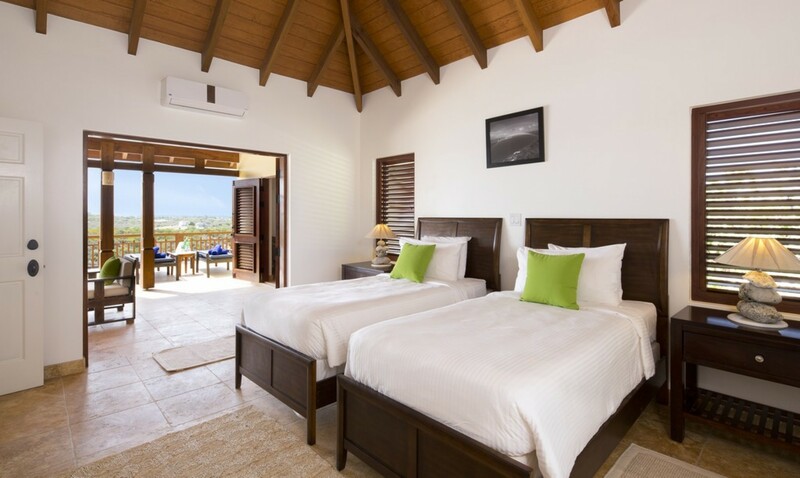 The Master bedroom features a luxurious king-sized bed, while the rooms en-suite includes a large shower. The first guest bedroom offers a lavish queen-sized bed and private en-suite with a shower, while the second guest room features two twin beds. Bedroom 1 Master: Luxurious King-sized bed, Private en-suite Bathroom, Large shower. Bedroom 2: Lavish Queen-sized bed, Private en-suite bathroom, Large shower. Bedroom 3: Comfortable Twin beds, Private en-suite Bathroom, Large shower. 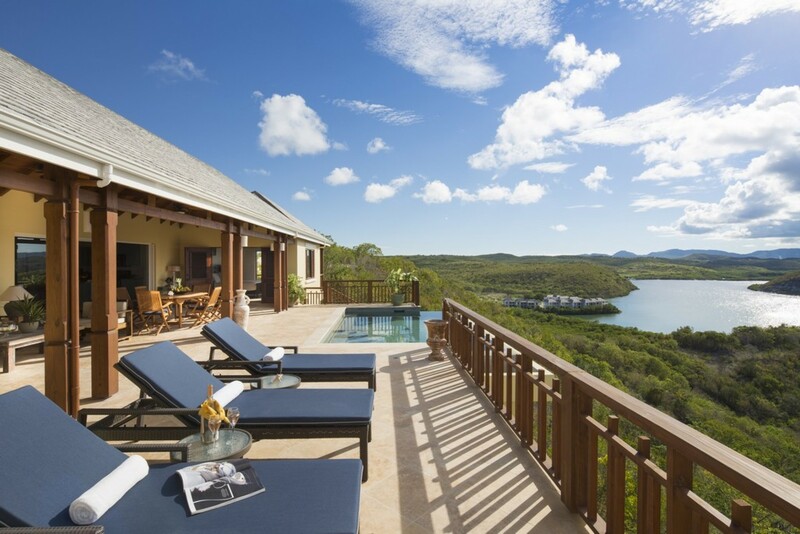 Villa Nonsuch Heights is located with Nonsuch Bay Resort along the coast of Antigua’s tropical rolling hillside. Based specifically in St Phillips, the property sits 150ft above Ayres Creek. 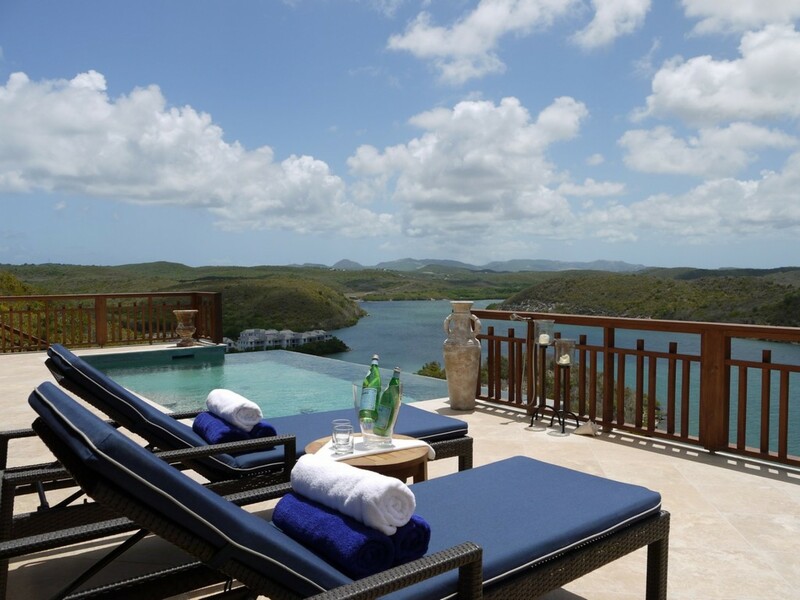 The villa is based in the privacy of the bays rolling hillside yet is ideally located a twenty minutes’ drive to the vibrant marinas, bars and restaurants of Falmouth and English Harbour. 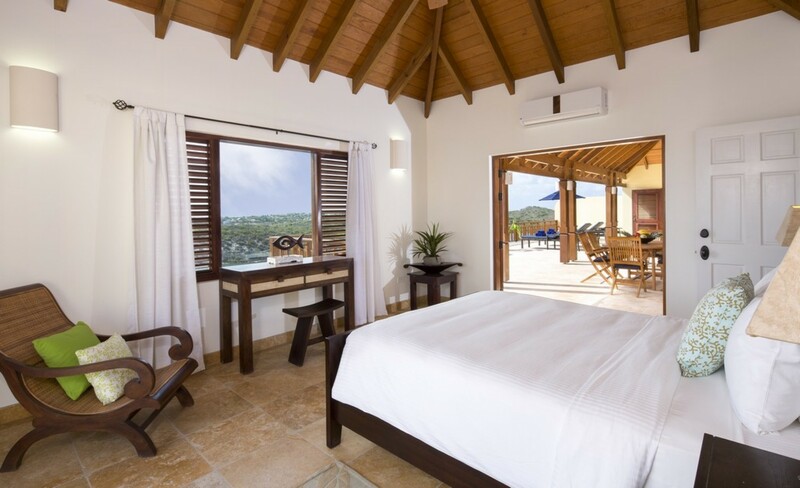 Nonsuch Heights is part of Nonsuch Bay Resort, a sought-after Caribbean resort, perched overlooking the Sea on a 40-acre estate. 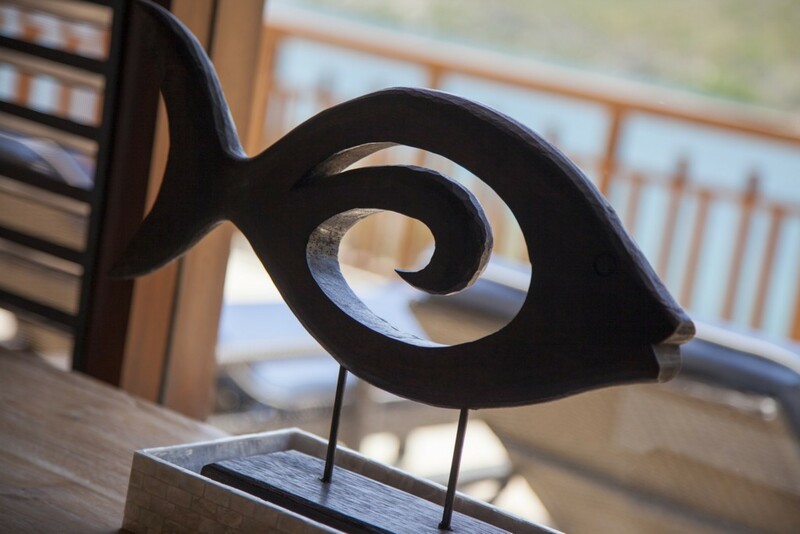 It is located on the east coast of Antigua just 30 minutes from Antigua's international airport. The bay is protected by the two square miles of calm waters that sit behind the barrier reef. It is also close to Green Island and Little Bird Islands. The private beach, a short ten-minute walk or minutes’ drive in the resorts complimentary shuttle from the villa. The famous Half Moon Bay is a short ten-minute drive while Long Bay Beach is a little further at twenty minutes. The nearby beaches of Green Island are a fifteen-minute drive away.